If you are looking to buy brand spanking new cosmetic lasers at affordable prices, MedLaser USA has all the popular types of aesthetic lasers for sale at competitive prices. We give medical spas, physicians in the US, and around the world easy access to the best technologies at competitive prices. You can also take advantage of our cosmetic laser financing programs to reduce the burden of ownership and lower your payments. We have specialized cosmetic lasers for sale as well as all treatment options that can cater to a variety of aesthetic and medical needs. 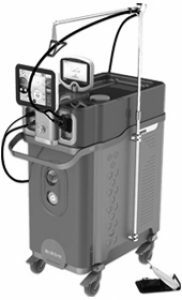 You can also find great add-on types of equipment that improve your quality of service such as the Zimmer Cyro 6 cooling system, which mitigates pain and thermal injury during laser treatment procedures. Talk to us today to get more information on your requirement and the amazing deals on offer. Why Buy Cosmetic Lasers From MedLaser USA? Decades of experience distributing, buying, repairing cosmetic lasers, and also providing the much-needed training on equipment use when carrying out specific procedures. 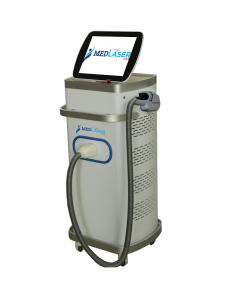 If you are searching for attractive deals on high quality cosmetic laser equipment for sale, MedLaser USA has you covered. You can buy new aesthetic lasers from brands that provide the latest advanced technology. Talk to on of our experts today to get answers to all your questions on aesthetic lasers for sale, or place your order. Call us today at +1 888 284 2486 or mail to info@medlaserusa.com. You can also Send Us a Message, and we will get back to you as soon as possible. Welcome to the home of aesthetic lasers! The Diode Ice is a premium diode laser hair removal machine that allows practitioners confidently deliver safe, fast and effective laser hair removal treatments. The 808nm Diode laser offers patients deeper wavelength penetration and higher levels of melanin absorption making it a premium laser for hair removal on all skin types without a premium price. The Lucid QPTP is the best laser tattoo removal machine in the industry. 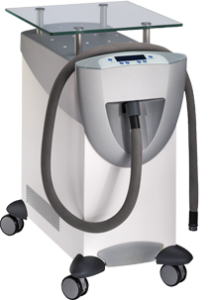 If you are currently deciding on which laser tattoo removal machine to buy, the Lucid QPTP is the perfect laser solution for your business. The Lucid QPTP delivers much greater speeds, and offers more modes of energy delivery when configured with up to 4-wavelengths effectively offer more treatment options and target all tattoo colors. Buy A Laser Hair Removal Machine. Premium alexandrite & nd:yag aesthetic laser platform. The Dual Accento is a #1 choice when looking to buy a laser hair removal machine. This premium Alexandrite and Nd: YAG aesthetic laser platform allows professionals the ability to deliver over 20+ FDA approved laser treatments faster and more effectively with an all-in-one laser machine. Buy the best alexandrite & nd:yag laser platform available without spending six figures. MedPulse IPL is the most affordable IPL Intense Pulsed Light Machine available today. If your business is looking to provide photofacials, skin rejuvenation, vascular treatments, correction of pigmentation, laser hair removal and tighter skin the MedPulse IPL is an excellent Intense pulsed light machine for your business. Provide your clients with the premium results they are looking to receive. The most affordable tattoo removal laser equipment available with premium laser beam quality. Remove virtually all tattoo colors, rejuvenate skin, and target pigmentation with this Q Switched Nd:yag aesthetic laser system. The MedLaser Q2 will enhance your clinic, provide premium results, and provide massive savings compared to other tattoo removal laser equipment. Buy the best cosmetic laser equipment to your medical spa and add the MedLase Q2 laser system today. Remove rare and resistant tattoo colors and buy the best Q Switched Ruby Laser as a addon to any Q Switched Nd:Yag laser. Q Switched Ruby Lasers are an essential addon to any clinic looking to enhance their equipment options to an advanced level of practice. High absorption of melanin makes the 694 nm ruby laser and ideal wavelength for targeting pigmentation in addition to resistant and rare tattoo colors. 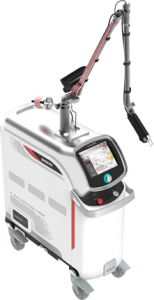 Buy a Q switched Ruby Laser from MedLaser USA today! Buy a Zimmer Cryo 6 cold air chiller device, the gold standard for every medical spa and cosmetic laser clinic. Used to minimize pain during laser treatments and is a necessary addon for every laser tattoo removal business. 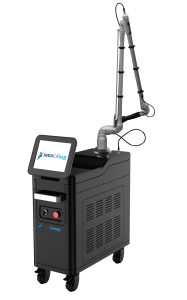 Maximize patient comfort during laser tattoo removal or many other laser treatments that call for cooling with the #1 cooling system in the industry. 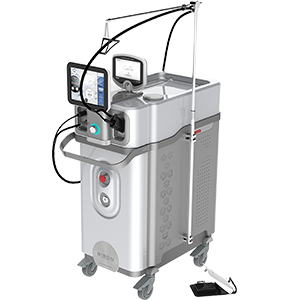 Reduce common side effects seen in aesthetic laser treatments and integrate the zimmer cryo 6 with most of MedLaser USAs aesthetic laser devices. 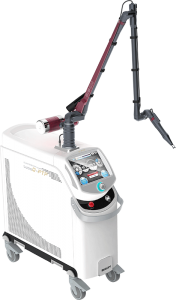 A single laser platform aesthetic laser system with a premium alexandrite laser. One laser wavelength with years of scientific evidence of proving the long pulsed alexandrite laser wavelength is a must have laser hair removal machine for every clinic. The Single Accento is a perfect addon laser to any long pulsed Nd:yag or if the majority of your clientele is fair skinned, skin types 1-4. Laser unwanted hair, tone skin, and target pigemention with with Single Accento Alexandrite laser system. Buy an alexandrite laser hair removal system today! Dual Accento & Single Accento in action! With an intuitive interface, the Accento lasers deliver versatility, performance and precision, to support a wide spectrum of aesthetic and medical capabilities. Providing highly effective, rapid, safe, and comfortable treatments, the Ruby Star laser is a breakthrough in tattoo removal and treatment of benign pigmented lesions.